When I first became a mother, I didn’t understand the value in having mom friends. I wasn’t against it, I just didn’t know how valuable they really were. I was one of the first of our friends to have a kid and not knowing many other mothers my age probably had something to do with it. Of course, I had heard the phrase, “It takes a village to raise a child,” countless times, but I’ve always been the type of person that didn’t think she needed help. That was probably true before kids, but motherhood has a way of forcing you to take stock of your abilities and draft people to help you fill in the gaps for the best interest of your children and your sanity. I was apart of an online birth month board that I turned to for all of my (millions) of questions. Here was a group of babies the same age as mine, give or take, who’s mothers were all going through mostly what I was going through. A close group formed that has kept in touch over the years and I’ve even met a one of them in person. But, these weren’t friends across town, they were across the country. Other than moral support, they couldn’t provide much, although that in itself comforted me many times. When I joined a local running group for moms was when I really started building my village. I was instantly tapped in to hundreds of moms. I would meet with moms around my kids’ ages at the playground and we’d swap stories or I’d run with older moms that had enough experience and perspective to assure me it wouldn’t be diapers and spit up forever. I began to realize that I wasn’t alone in what I was experiencing and talking about these things always made me feel better. We moved into our current neighborhood a few years ago and we have gotten so incredibly lucky with our neighbors. There are about five families on our street with kids roughly the same age, which I really think is the common thread. Nobody understands what you’re going through like someone who is right in the trenches with you. All the other mothers have been so encouraging and helpful, whether they know it or not and it makes all the difference. To know that you have someone literally feet away that you can text if you need something is such a luxury that I never want to take for granted. Even just to join them outside while the kids play at the end of a long day while you get five minutes of adult conversation has been a major lifeline more than once. I know not everyone is a runner or has great neighbors. I know finding your people isn’t always easy and talking to new people is hard, but it’s so, so worth it. Here are a few tips I have for finding and cultivating your village. Put yourself out there. I know it can be awkward to randomly pick up a conversation with another mom at the playground, but try! Chances are you won’t ever see them again. Kids can be used as a great icebreaker. Who doesn’t want to talk about their kid? Ask questions about their pride and joy and go from there. 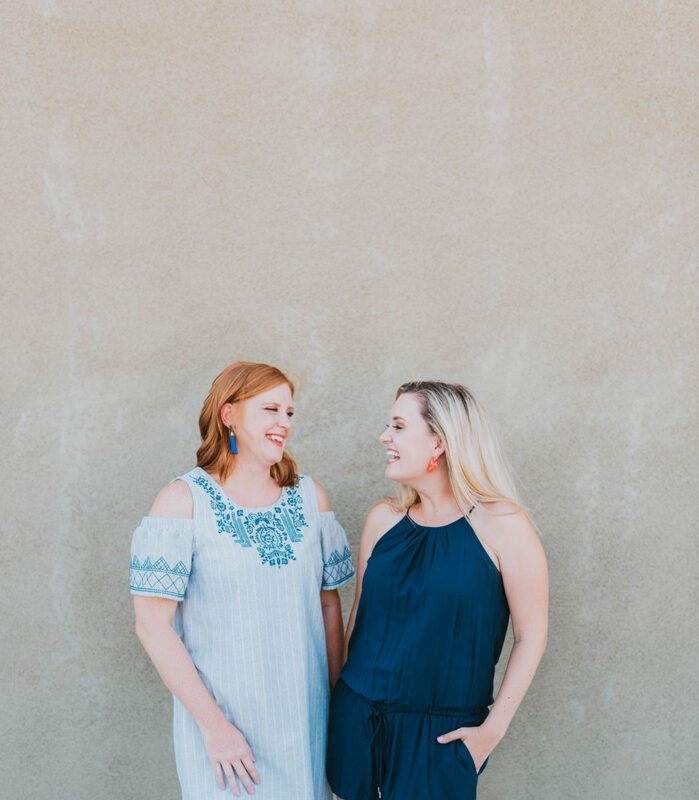 They may not be your forever friend, but some days, especially as a stay at home mom, talking to another mom at the playground can give you enough encouragement to make it to bed time. Find a group. If running is your thing, or you think it could be, look to see if your area has a Moms Run This Town chapter. There are Facebook groups for everything from baby wearing to breastfeeding to special needs that no matter what you’re into, you could probably find people in your area that are into the same things. Use your kids. All we do is take them from activity to activity, right? What better place to look for a mama friend than a place you both have to be. Maybe you could even work out a carpool or something! Pool resources. Our generation of moms has been isolated and made to think that we have to do everything by ourselves all the time. We think we have to be all things to all people all the time, but of course, that has disaster written all over it. The more ways we can find to parent together, the easier it will be for all of us. One of my favorite things Brittany and I have ever done (which we really should do more often) was look in our respective fridges, took inventory and made dinner. I had leftover rotisserie chicken, she had a pile of tortillas and whipped up some enchilada sauce. They came over and while the kids entertained each other, we made enchiladas. No one had to scream “Get out of the kitchen!” while trying to make dinner, no one had to hold a kid on the hip while trying to prep anything and everyone had a home cooked meal. Well, the adults did. The kids obviously still ate their usual mac and cheese. Throw out a lifeline. If you’re running to get take out and you know that night of the week is chaotic for her, offer to pick something up for her and her family too. Or maybe you’re off to the grocery store and you pass by a friend’s house. Shoot out a text and see if she needs anything. She’ll be so grateful that you saved her the 4:30 trip to the grocery store for the one thing she needed for dinner. Or if you know she is having a crappy day/week/month, drop something off for her. Nothing makes a mom happier than to open the door and see a bottle of wine or other favorite treat waiting for them on the doorstep. I know we’re all busy, but going out of your way to help someone else can be really therapeutic. You know, when my mom brain is working well enough to think to shoot out that SOS text. Do a babysitting swap. I haven’t ever done this because schedules have never matched up to do it, but I think this is a great way to help each other. You can each get a few hours to yourselves (or a date night!) and there’s no need to feel guilty because you’ll get your chance to hang back with the screaming kids too! Group errands. This is another piece of advice I’ve never employed, but I really love this idea. I’ve heard of moms that plan to do an errand, like grocery shopping, at the same time. They all do the big grocery trip on Mondays (or whatever) and as they go up and down the aisles the kids get so excited to see each other that any tantrums are immediately diffused. It would also be nice to have a friend right there for your latest “Can you believe what so and so just did? !” moment. It always makes tasks a little easier when you have someone to face palm right along with you. I know the few times we’ve bumped into friends at the store it’s been such a welcome distraction. I think it would be so fun to do this on purpose! Get creative. Earlier this year, I was really missing girl time with my friends. Yes, we’d meet for play dates and things, but you really can’t have a conversation, or relax, with the kids around. My husband was working long hours and I wasn’t able to get out as much as I would have liked, so I made everyone come to me. I started Monday night Bachelor nights and invited everyone over once I got the kids down for bed. I didn’t really even watched the show, but it was a good excuse to get everyone over and it was at a time that worked for everyone. It may not always be your ideal way to get out, but sometime you gotta work with what you got. It really does take a village to raise a child. No two (or one) parents can do it themselves. Maybe your village is made up of entirely family, but if you’re family isn’t able to be there all the time (because of work, distance, whatever), having a network of other moms and/or families you can turn to so you can do your best for your family is so important. I need my community of people to get me through this crazy ride of motherhood, especially as a stay at home moms, and I’m so lucky to have them all. To know that there is always someone I could call (text, let’s be real) if I need them and to be that person for someone else has been such an awesome experience not only for me, but for my kids too.